ITE (in the ear) hearing aids fit inside the area surrounding the ear canal. They are a popular choice of hearing aid, as they are more discreet than behind the ear (BTE) hearing aids and they are suited to a wide range of patients. If you suffer from hearing loss, and you’d like to find out more about ITE hearing aids, hopefully, you’ll find this guide useful. What exactly is an ITE hearing aid? An ITE hearing aid is a small, discreet hearing aid that is designed to fill the space outside of the inner ear. The hearing aid sits alongside the earlobes, and it can be colored to match the natural skin tone for a seamless aesthetic. ITE hearing aids offer an alternative to hearing aids that are worn outside of the ear, including BTE or behind the ear hearing aids. ITE hearing aids cannot be seen from the back. Are ITE hearing aids suitable for all ages? Hearing loss is often associated with older people, but it can affect patients of all ages. If you’re finding it increasingly difficult to focus on individual sounds or block out background noise, you’re struggling to hear people when they’re talking to you or you’re turning up the volume on the radio or TV, it’s wise to book a hearing test. If you need help with your hearing, hearing aids are incredible devices, which can enhance and improve your hearing, as well as your quality of life. ITE hearing aids are a versatile option, and they are suited to almost all patients. These hearing aids are more discreet than some other types, which makes them a popular option for younger patients, and they’re also suitable for individuals with varying degrees of hearing loss. When you see your audiologist, they will be able to use the results of your hearing tests to make tailored recommendations to help you choose the best hearing aid for you. What are the pros and cons of ITE hearing aids? ITE hearing aids offer an array of advantages, but no device is perfect. Many people opt for ITE hearing aids because they’re harder to detect than other types of hearing aid. For some, the idea that they can enjoy better hearing without wearing a highly visible aid is very appealing. Although ITE hearing aids can be seen, they’re a lot more discreet than larger hearing aids that are worn outside of the ear. Due to the location of the hearing aid within the outer ear, ITE hearing aids are less prone to picking up wind noise, and they’re also very easy to insert. 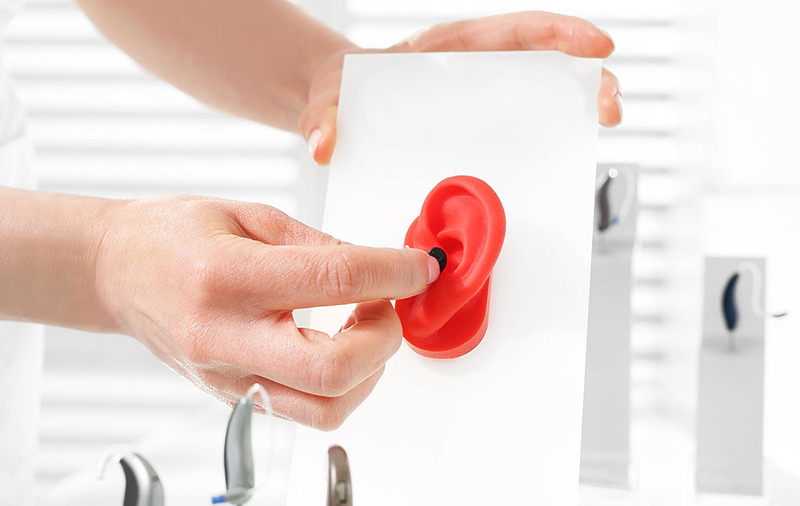 Getting to grips with your ITE hearing aid can take time, and you may find that ITE hearing aids are harder to keep clean and maintain. The battery life is also shorter than BTE hearing aids, and the process of switching batteries is more fiddly. As the hearing aid is worn inside the ear, ITE aids are also susceptible to blockages caused by excess ear wax. This type of hearing aid is also among the most expensive options. If you’re interested in ITE hearing aids, hopefully, you’ll find this information helpful.